Determining the "biggest" dog in the world is more complicated than it sounds. 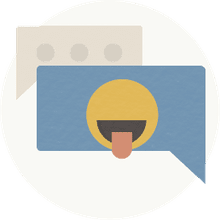 The "The Guinness Book of World Records" is widely regarded as the determiner of the world's "biggest," "largest," "tallest," and "smallest" items, people, geographic locations, and, of course, dogs. But, the record book actually only determines the world's "tallest" dog — that is, how tall the dog is when it stands on its hind legs — not technically the "biggest." The "biggest" dog would actually be the heaviest, but "Guinness" doesn't measure dogs by that metric, likely due to animal welfare concerns. Awarding a title for the world's biggest or largest dog might persuade owners to overfeed their pets in hopes of winning the honor. Read on to see who is the world's tallest dog, as well as the planet's biggest. Interestingly, both dogs live in the same country. 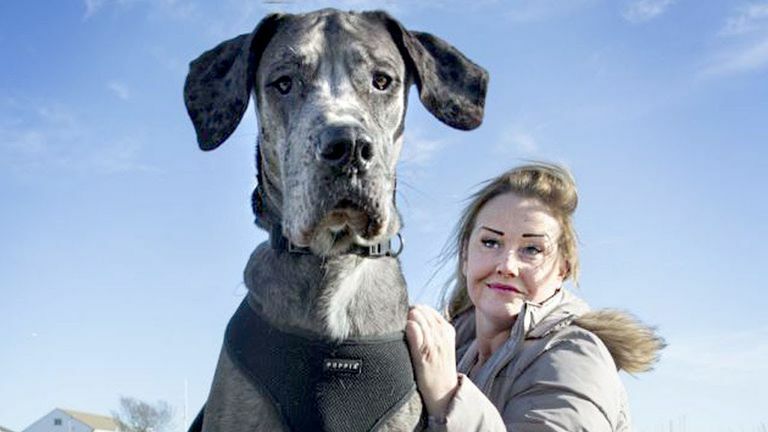 The world's tallest dog is Freddy, a 7-foot, 6-inch-tall Great Dane, who reportedly loves chicken and peanut butter, "but he's also munched his way through 23 sofas," according to the "Daily Mail." Freddy also measures 3 feet, 4.75 inches tall when standing on all fours. Freddy's owner, Claire Stoneman, who lives in Essex, England, "is utterly devoted to her '​Guinness World Record' pet, and his sister Fleur," says the "Daily Mail." "They are children to me ... because I haven't had any kids," says Stoneman, who shares her bed with Freddy. "They need me and it's quite nice to be needed." Surprisingly, Freddy was never expected to grow so tall. "I got him a couple of weeks earlier than I should have done because he wasn't feeling off mum, so he was pretty poorly," Stoneman told the Huffington Post. Freddy was a relatively small pup when Stoneman picked him up at a local pound. No one suspected that Freddy would grow up to claim the world title. But, not so fast: Balthazar, another Great Dane who also lives in England, is 7 feet tall when standing on his hind legs — about half a foot shorter than Freddy. Balthazar, however, tips the scales at a whopping 216 pounds, 42 more pounds than any other dog on Earth, according to "Metro," a British Newspaper. The dog's owner, Vinnie Monte-Irvine, who lives in Nottingham, England, said that she took Balthazar to the vet when he was not feeling well. "After he was weighed everyone at the surgery was gobsmacked and we were all just Googling to see if he was actually the world’s heaviest living dog," Monte-Irvine told "Metro." Despite his hefty size, Balthazar's best friends are three small cats who also live at the house in central England. On April 2, 2008, a Harlequin Great Dane named Gibson was named the "Guinness" titleholder as the world's tallest dog. When standing on all four legs, Gibson measured 42.2 inches tall He died of bone cancer on Aug. 13, 2009. Gibson was succeeded by another Great Dane, Titan, and then in 2010, by Giant George, a blue Great Dane in Tucson, Arizona, who was 0.375 inch taller than Titan. He was confirmed at the time as the Tallest Living Dog and the Tallest Dog Ever. Zeus, a Great Dane in Kalamazoo, Michigan, subsequently took that title and earned the award for World's Tallest Dog Ever. He received this designation on Oct. 4, 2011, measuring 44 inches, or 3 feet 6 inches, when standing on all fours — just 1.25 inches taller than Freddy. Sadly, Zeus passed away in 2015.